First, the situation: The Indians are 25 games into the Northwest League schedule with 13 remaining in the first half. 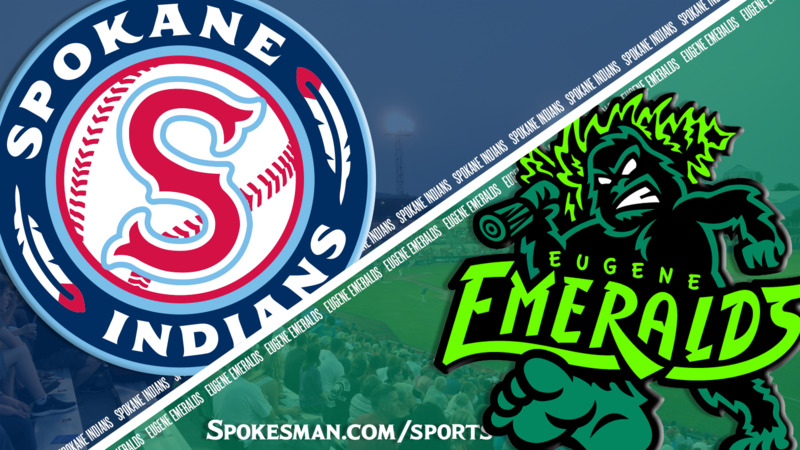 The Indians, who start a five-game homestand against Eugene tonight at 6:30 at Avista Stadium, are tied for the league lead in home wins with eight. Their 8-6 record is bettered by only Tri-City and Hillsboro, both at 8-3. Even though Spokane is last in the North Division, no one is running away with it. Tri-City and Vancouver are tied at 13-12 overall, with Everett (12-13) one game back and the Indians (8-17) trailing by five. That’s the good news. The bad news is that the team enters the homestand on a four-game skid. Further, the Indians are 0-11 on the road and following the home-stand must play their next eight games – at Everett for three games and Salem-Keizer for five – on the road. Manager Kenny Holmberg can’t put his finger on a reason, but acknowledges the Indians play much better at Avista Stadium. “It’s something about this place that we enjoy winning games,” Holmberg said. Jake Latz, who was the starting pitcher for the first game of the previous homestand after a winless road trip, said it’s important for the team to win that first game back. There are a couple of key players to watch during the home-stand. Curtis Terry, who leads the NWL in homers (eight) and RBIs (21), hasn’t had one of either in his past six games and has struck out in each of his past seven at-bats. On the plus side, J.P. Martinez – the Texas Rangers’ No. 3 prospect – seems to have emerged from his early-season slump. He bottomed out on June 24, when a 0-for-3 performance left his average at .125. Since then, he’s gone 10 for 32 (.313) with a pair of home runs and two stolen bases. Published: July 10, 2018, 6:36 p.m. Updated: July 10, 2018, 8:19 p.m.